Vanguard is one of the world's largest investment companies. 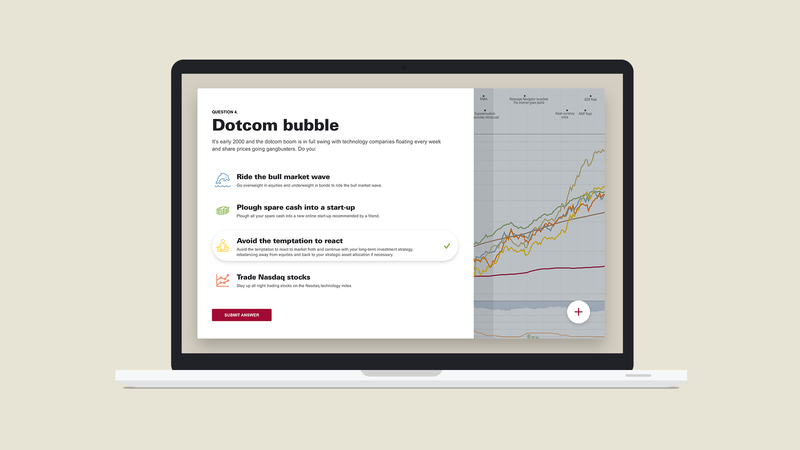 Each year it produces an Index Chart which tracks historical performance across major investment asset classes, along with key economic, social, political and demographic changes that have impacted performance. The Index Chart is primarily used by financial advisers as a tool for explaining how investment returns can vary over time. An interactive version of the Index Chart allows the user to set parameters to build their own customised tool. The interactive tool also features charts on economic indicators and exchange rates. 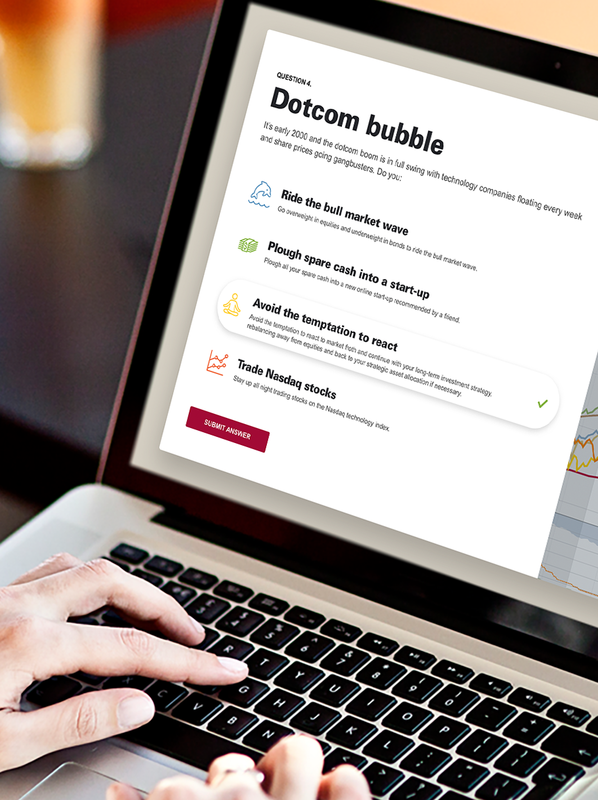 Vanguard was looking for a way to promote awareness of the tool and drive engagement with it among financial advisers and their clients. The promotion needed to be interactive enough to hold people’s attention, but not gamified in such a way that could risk trivialising the intellectual rigour behind the Index Chart. Luminary came up with the concept of The Index Chart Challenge, an interactive quiz that would test the user’s investment nous, and provide helpful tips and education along the way. After coming up with the initial creative concept, Luminary was also engaged to build the Index Chart Challenge. At each stage of the Challenge, the user is presented with a scenario and four multi-choice responses to select from. For each scenario, there is only one right answer, but each answer submitted elicits feedback to inform the user why their choice was right or wrong. In line with Vanguard’s logo and branding, the quiz is designed with a maritime theme. At the beginning, participants are invited to discover their rank and take the challenge to find out if they’ll be ‘captaining the ship, scrubbing the decks or walking the plank’. 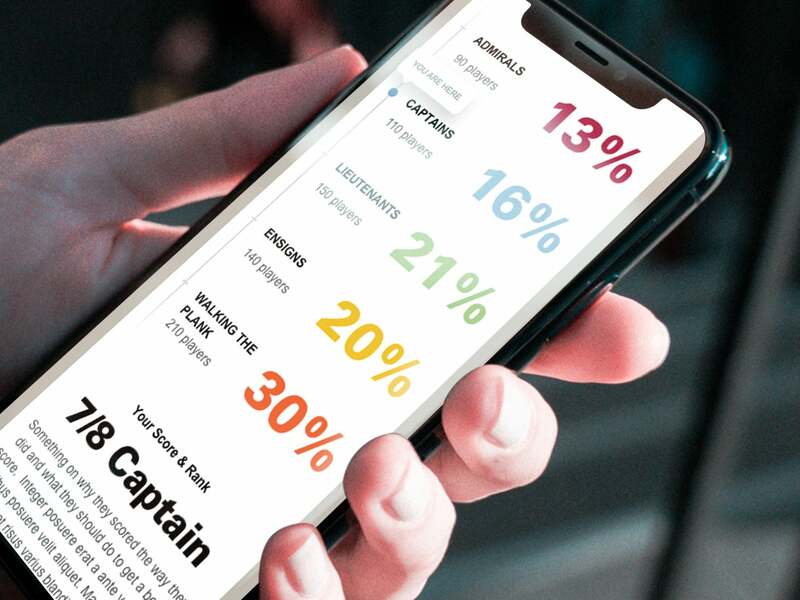 Based on how many scenarios they responded to correctly, participants are ranked at the end as an Admiral, Captain, Lieutenant, Ensign or – if they really bomb out – ‘Walk the Plank’. A ‘Current Overall Rankings’ feature displays the percentage of participants who’ve been afforded each ranking, so participants can see where they stand against the competition. 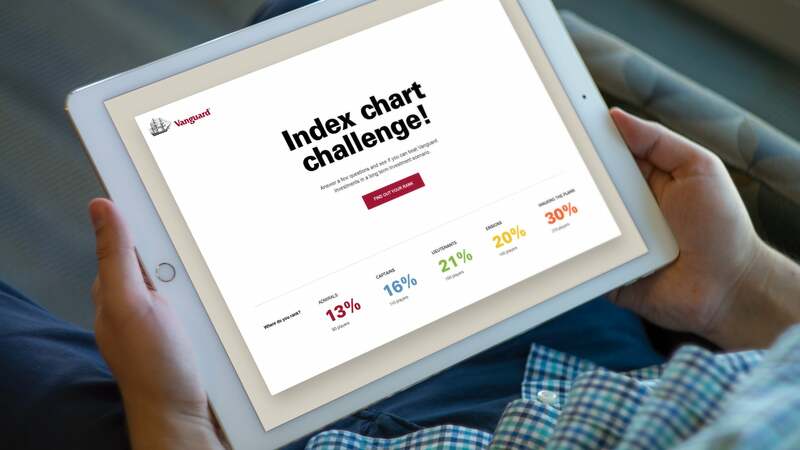 The Challenge was designed to be complementary to the Index Chart, with links to ‘Check the Index Chart in a new tab’ on each page of the quiz. The quiz also concluded with calls to action encouraging the user to ‘Find out more’ or ‘Click to call’. The Index Chart Challenge was promoted via a dedicated eDM and via LinkedIn and Twitter. The eDM received a very favourable response with a 26 percent open rate. The Challenge also received very positive feedback both internally and via Vanguard’s financial adviser network.